While the Mamba’s away, the mice will play. The Lakers are fighting for their playoff lives Wednesday against the Houston Rockets but that has not stopped Dwight Howard from thinking up new nicknames. Dwight also suggested he could be the “Chocolate Mamba.” And sell a snack bar by that name. I’m not sure how Kobe Bryant will receive the news but already many Lakers fans are not taking to the new name. Howard has a long history of keeping things light and joking around but with so much on the line it seems a little ill timed to be thinking up new nicknames. Of course, if the Lakers get into the playoffs no one will think twice about the name. And if the Lakers win a championship Dwight can call himself whatever he wants. But for tonight, the Chocolate Mamba better have a hell of a game and lead the Lakers into the playoffs. Amare Drops F-Bomb on Twitter Fan! This latest incident came to light when deadspin.com published tweets allegedly from Amare Stoudemire to a fan where he drops an F-Bomb on the fan. Reportedly, the NBA is looking into this matter and I fully expect Amare to be fined just like Kobe Bryant and Jokim Noah were when they used the same slur. I know a lot of people out there don’t think it’s a big deal for someone to use the word fag in a derogatory fashion. But it is a big deal. 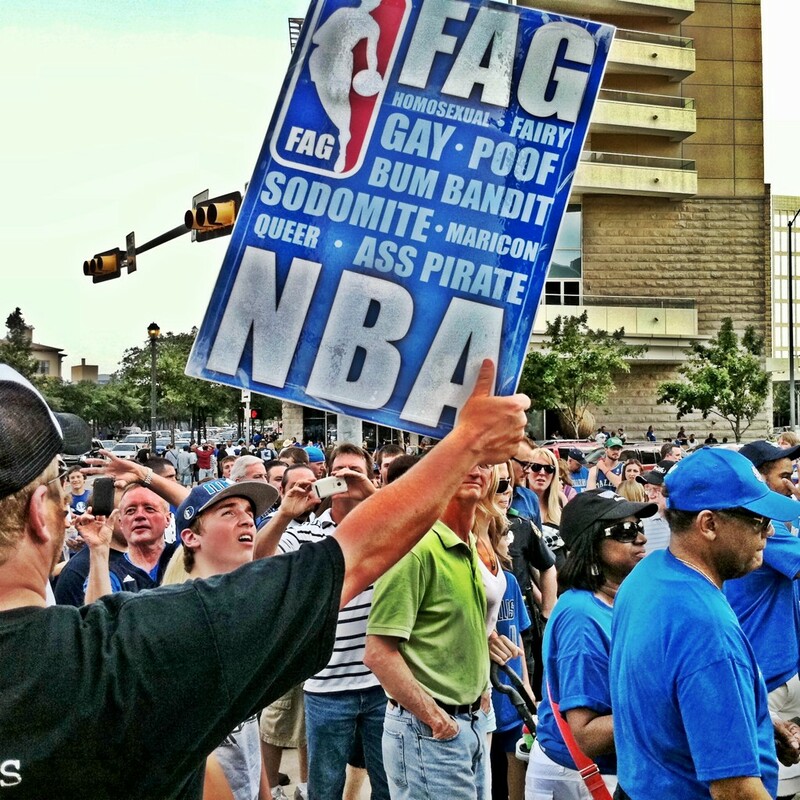 The NBA has a whole campaign that is against using homophobic slurs. And if it’s a big deal to the NBA you better believe David Stern is going to make sure it’s a big deal to the players. So how did all this start? Apparently the Knicks fan was trolling Amare and sent him this tweet; “you better come back a lot stronger and quicker to make up for this past season mannnnnn deadasss!! !” Now when it comes to nasty tweets sent to pro athletes, that’s pretty tame. Los Angeles Lakers’ Steve Blake and his family got death threats after he missed a game winning shot against the Oklahoma City Thunder in this year’s playoffs. Now that’s harsh. So, it’s surprising to me that Amare would respond the way he did. I’m sure he received worse tweets when he put his hand through a piece of glass and sliced his hand open during the series versus the Miami Heat. Maybe he was just having a bad day. Who knows? But he, and all other players, have to know that the NBA will not tolerate this kind of language. To his credit, Amare did apologize. But it may be too little, too late. It’s going to be interesting to see how the league responds. After the Los Angeles Lakers got eliminated from this season’s NBA playoffs by the Oklahoma City Thunder many fans, and media, were calling for Coach Mike Brown’s head. That’s nothing new, they have wanted him to be fired all season. But I’m here to tell you that he deserves another chance. You can’t just get rid of him. Yet. 1. He’s the new guy. Mike Brown came in with a whole new system this season. Jim Buss made sure that all traces of The Triangle offense were gone. Brown had to bring in a whole mew system and the players weren’t too receptive. They even tried a mutiny and tried to bring The Triangle back. When the Mike Brown System was given a chance it worked. Every time the Lakers went inside to Pau Gasol and Andrew Bynum first, good things happened. 2. The Lockout. Mike Brown didn’t have a chance to introduce his system properly because of the lockout. He had to teach it to the players on the fly. Its like trying to change the tires on a NASCAR car while it’s still running on the track. With a proper training camp Brown will be able to teach his system the right way. 3. David Stern. If the trade of Gasol and Lamar Odom for Chris Paul and others had gone through the Lakers would be in he Western Conference Finals instead of being home. That non-trade sent the whole Lakers season into chaos. Just think about what might have been. 4. The Players. The Laker players never really bought in to Mike Brown’s system. Kobe Bryant was very cool to Brown early in the season. Andrew Bynum acted like a petulant little child most of the season and Gasol moped through the playoffs. Brown is going to have to win the players over if he wants to succeed. I think he can do it. 5. Kobe Bryant. I know this is a touchy subject because everybody flies off the handle whenever I criticize Kobe but he set the tone for the whole season when he refused to call Brown after he was hired. Kobe is the leader of this team and the other players will follow him. If Kobe makes nice with Brown, so will everyone else. So there you have it, Mike Brown deserves another chance for all the above reasons. If the Lakers don’t win a title next year, then you can fire him. Lakers Fans, It’s Time To Push The Panic Button!! I know it’s only been two games but the Lakers are 0-2 and I say it’s time to push the Panic Button. Call it over reaction. Call it pessimism. Call it whatever you want. Just push that sucker. After another last minutes collapse against the Sacramento Kings last night I tweeted that it is time to push the panic button and was immediately inundated with responses that I was crazy to even suggest such a thing. All I can say is something has to be done and pushing the Panic Button is as good a solution as any other I have heard. I understand that Andrew Bynum is out but after watching the uninspired play of the Lakers and Kobe’s frustration level go off the charts, I’m not sure Bynum would have made a difference. Think about this for a second, the Lakers had the game won against the Chicago Bulls on Christmas Day and fell apart in the last minute and gave the game away. The game against the Kings was one they should have won and were coming back only to fall apart in the last two minutes of the game. Two last minute collapses in two games is not confidence inspiring. And watching Kobe get more and more frustrated isn’t helping, either. We all know that when he gets to the point where he doesn’t trust his teammates he gets into that mode where he tries to do it all by himself. And that is not good for the Lakers. 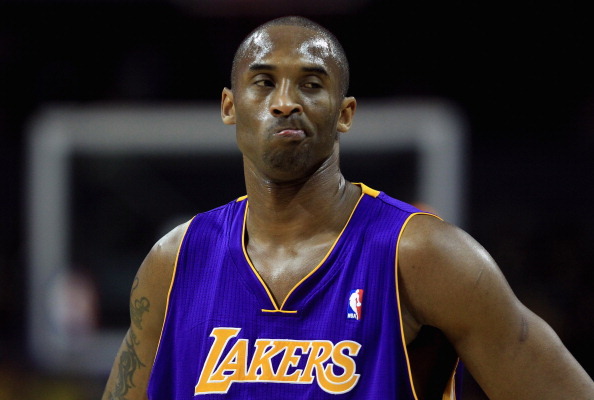 I understand Kobe’s frustration because I am frustrated, too. The Lakers did not get better in the offseason. They did not get Chris Paul or Dwight Howard like everyone thought they would. In fact, they may have gotten worse purely based on the fact that they traded away Lamar Odom for essentially nothing. So I say let’s push the Panic Button and make some major changes. Vanessa Bryant Files For Divorce!! As if the Lakers haven’t had enough drama this season with all the failed trade attempts and losing Lamar Odom to the Dallas Mavericks it seems that things just got worse. TMZ is reporting that Vanessa Bryant has filed for divorce. Sources connected with the couple tell TMZ … Vanessa — who stuck by Kobe after he was charged with sexually assaulting a Colorado woman in 2003 — decided to end the marriage because she believes Kobe has been unfaithful … again. This might explain why Kobe has been in such a bad mood lately. One of the most shocking revelations is that Kobe and Vanessa didn’t have a prenup! There is no telling how this will affect the Lakers season but it can’t be good. This going to get ugly before it gets better. The REAL Top 5 NBA Players!! ESPN came out with their rankings of all the NBA players yesterday and promptly set the Twitterverse on fire. It seemed like everybody hated their list. Including me. It comes as no surprise that they listed LeBron James as #1. ESPN will do anything to heap praise on LBJ even if it means destroying what little credibility they have left. LeBron Apologists were happy but real fans knew that the list was flawed. With Kobe Bryant at #7 and Carmelo Anthony not even in the Top Ten, you know something is amiss. So if ESPN can just randomly throw names in numerical order I figured I could do the same thing. Only my list makes a lot more sense. So here is The REAL Top 5 NBA Players. 1. Dwyane Wade. He has a boatload of skills and more heart than LBJ could ever hope to have. He is the undisputed leader of the Miami Heat. 2. Kobe Bryant. Still one of the most clutch players in the league. Has the heart of a Champion and the will to win. Has slowed down a bit but still one of the best ever. 3. Kevin Durant. Possibly the best All-Around game in the league right now. Could be the next Magic Johnson. And he’s only going to get better. 4. Dirk Nowitzki. Greatest shooting big man in the NBA. Ever. Has finally shaken off the “soft” label. A threat from anywhere on the court. 5. LeBron James. I’m not a hater. The guy is a freak of nature but still has the 4th quarter collapse stink on him from last year’s NBA Finals. He can move up the list but has to prove himself. So there is my list. Let the debate begin.